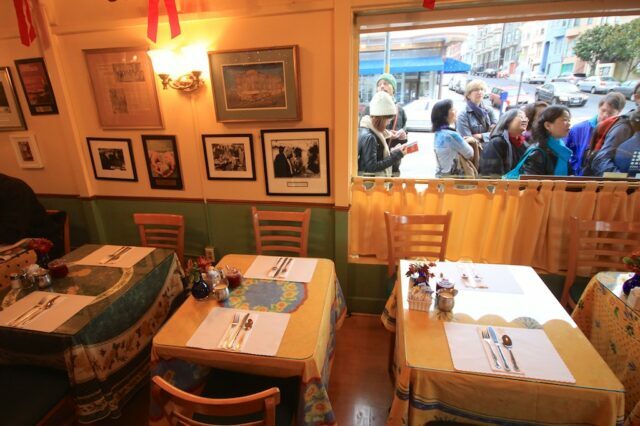 For over 50 years, this small restaurant on the corner of Stockton and Filbert, in the Washington Square of San Francisco, has been attracting crowds with its amazing breakfast foods. 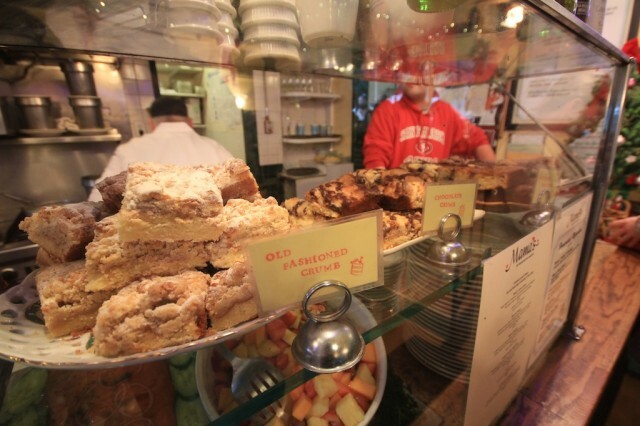 I had heard it was one of the best so on a recent trip I braved the crazy lines to get a sample of Mama’s on Washington Square and I have to say it may have been the best breakfast I have ever had. 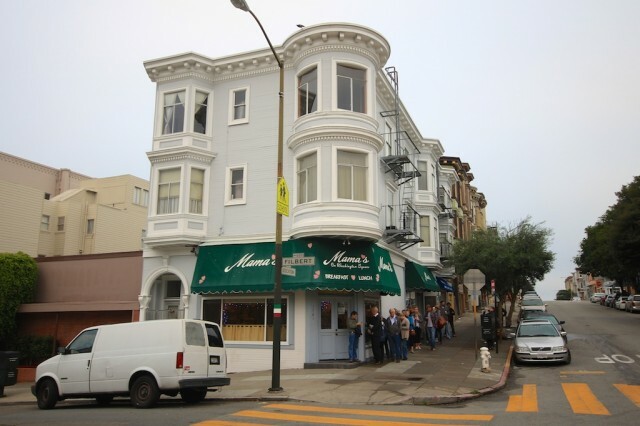 Like all of the good restaurants in San Francisco, Mama’s tends to have a pretty big line, especially on the weekends. Since we had just dealt with the line the day before at Swan Oyster Depot, I did my research before going to find the best time. We got there at around 7:40 on a Sunday and were the seventh people in line. By the time the restaurant opened at 8 there were about 25 people behind us, and when we left at 9 there was about 45 in line. 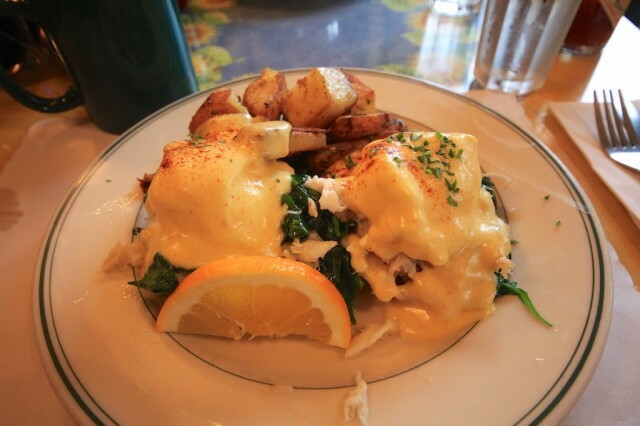 The food here ranges from traditional entrees like pancakes and omelettes to crab eggs Benedict and Huevos Rancheros. During the crab season though I found it hard to not order something with crab so I opted for the Dungeness Crab Benedict. To say it was good would be a disservice to the crab, it was mind-blowing amazing. I savored every bite and did not want it to end. 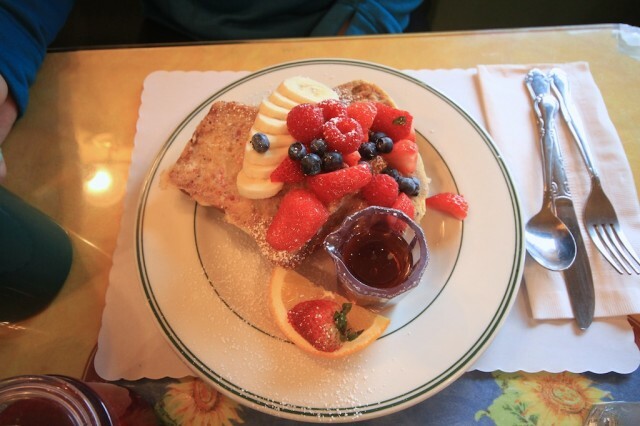 Amie got the french toast sampler which had Swedish Cinnamon, Cranberry-Orange and Banana Nut French Toasts served with fresh fruit. All of them were amazing but the standout was really the banana nut one. They also have a bake shop with a bunch of goodies you can take home. You’ll find treats here like Cranberry-Orange Walnut Loaf, Banana Walnut Loaf, Kugelhopf Brioche filled with golden raisins, dates, and cinnamon sugar, jars of homemade Ollalieberry Jam, Poppyseed Bundt Cake with lemon cream cheese frosting, Carrot Cake with cream cheese frosting, Fudgy Pecan Brownies, and more. 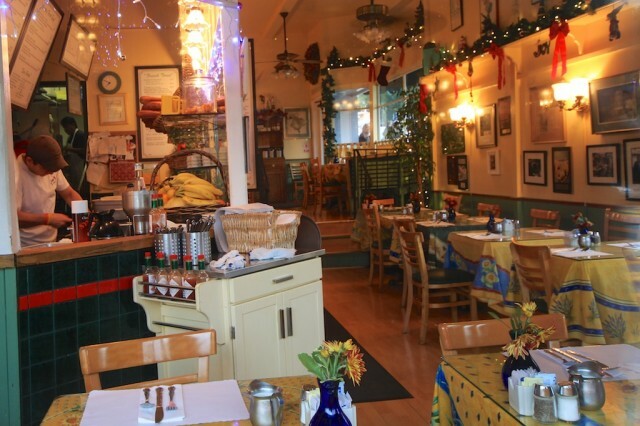 If you are going to San Francisco, or if you live there and haven’t tried it, Mama’s needs to be on your radar. While it can be expensive, it is easy to see why you pay more when you bite into your food. Get directions below and let me know what you think if you go.